Dont look at me, I'm irrelevant! You're very much in a ranting mood aren't you. nonsense, I blame you. What with discussions on Today and Skin cancer...how can I not rant? hey i never said i like Karl I'm accusing him of being robot completely devoid of human emotion. Ok then, lets blame him! wow, we got this topic off track, didn't we? and there's NOONE TO STOP US for several more hours. I say we move this discussion to the off topic topic. Just for clarity and to give me a chance to show off, Avogadro's number is the number of atoms in one Mole (14g) of Carbon. *sigh* Mole AKA Avogadro's number AKA 6.01 x 1023. 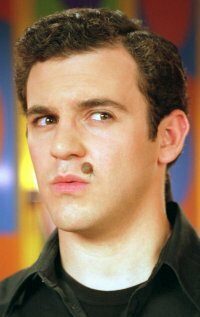 In my school they make stuffed socks, call them moles like Namolean Dynamite or Vincent van Mole and then compete with them. and daxx...isn't it 6.01 x 10^23? "But I love gatherings. Isn't that ironic?" The thread title's 10/23. Hence 0.43478260869565217391304347826087.